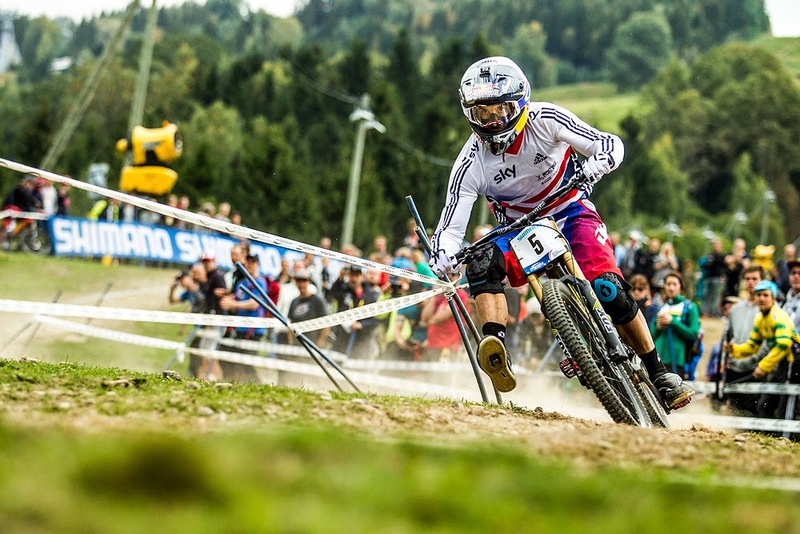 SilverlineTools: Gee Atherton is 2014 World Champion! 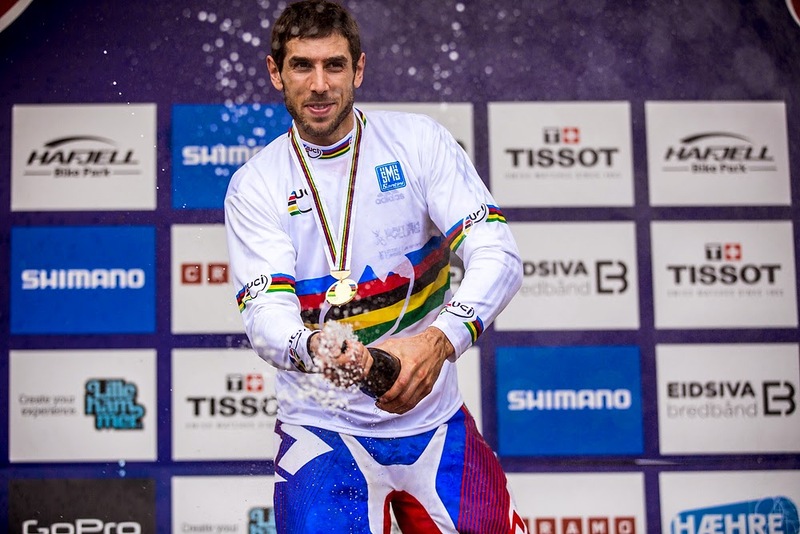 Gee Atherton is World Champion for the second time and is celebrating his victory – six years on from when he first took the title in 2008. Rachel lost her rainbow jersey by the cruellest of margins - pushed into second place as Manon Carpenter triumphed by a miniscule 0.088 seconds. 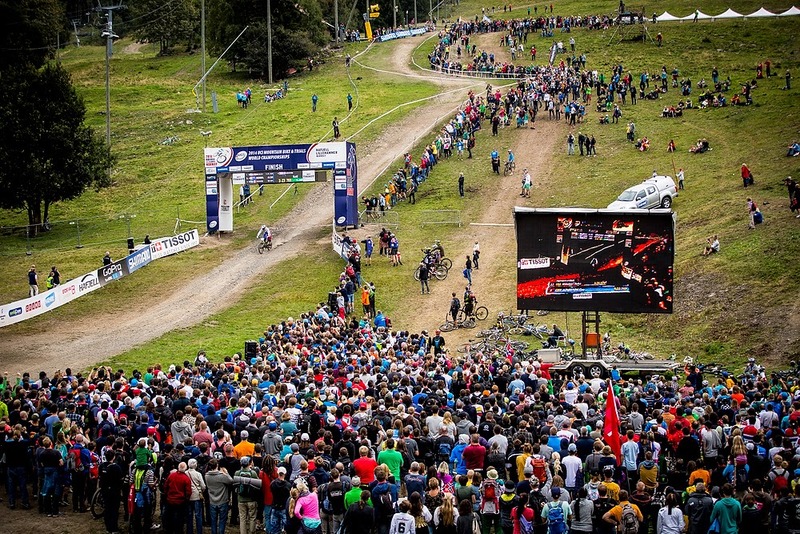 Hafjell’s World Championship race was unanimously labelled ‘intense’. It is a challenging and technical track and it took its toll on many riders – including GT Factory Racing’s Juniors. Taylor Vernon finished 40th after a big crash, while Martin Maes, the team’s young Enduro star, suffered a puncture and finished 59th. Gee rode strongly. It wasn’t a perfect run; in fact he declared himself ‘not pleased’ with his ride, but it turned out to be closer to perfect than anybody else produced on the day. Gee was fourth man left on the mountain and Neko Mulally was in the hotseat. Mulally had put together an amazing run, crossing the line in first despite riding most of the track without a chain, but Gee was about to better him. Gee rode a fantastic top section, going 2nd through split 1 (Sam Hill was fastest at the split but had dramatically come to grief near the end of the track). Gee made a slight mistake after the main rocks, where he dabbed a foot, still 2nd at split 2, but his trademark power came into play as he pushed all the way to the finish, crossing the line 2.2 seconds up on Neko. Sam Blenkinsop was up next but couldn’t get into contention;11th at split 1 he crossed the line in 5th, then Troy Brosnan also had a strong mid section and finish.10th at split 1 he crossed the line in 2nd, 0.566 behind Gee. Finally Josh Bryceland was on track. Tension was high as Bryceland went first at split 1; by split 2 he was ahead of Gee by more than a second - could he hold on? Josh looked threatening but in the last 200m he landed flat off a jump, coming down heavily enough to break his foot. He still managed to cross the line in 2nd place, but the World title belonged to Gee. "My run was messy," said Gee, “Hafjell is the kind of track where you are going to make mistakes; you have to expect things to change. Sitting there with riders like Sam Blenkinsop, Troy and Ratboy still to come down, I wasn’t at all sure that what I had done was good enough for the gold. I hope Josh is going to heal up soon!" Martin Maes was the first of GT Factory Racing’s juniors to ride in the World Championship Finals. Martin pushed hard. After coming 4th in timed practise he had decided to run a lower pressure in his tyres for Finals, searching for that infinitesimal extra edge. The strategy didn’t work. Despite a strong top section (he was 6th at split 1), he punctured and came down in 59th position. Taylor was 2nd from last to ride. He attacked the race like he needed to, pushing super hard out of the start house. He was 4th at split 1 but a crash before the main rock garden put an end to his World Championships. In the Women’s race Rachel was last woman down. She had a tough run. Manon Carpenter had put in a good time but it was only just quicker than Rachel’s timed training run - definitely within the reigning Champion’s reach. Rachel rode solidly but it was far from her best. She was up at split 1, up by over a second at split 2; the crowd and the team held their breath but a mistake on the final rock section meant that her 1.2 second lead had disappeared by the time she reached the finish line and she crossed into 2nd - a cruel 0.088 seconds behind Manon.